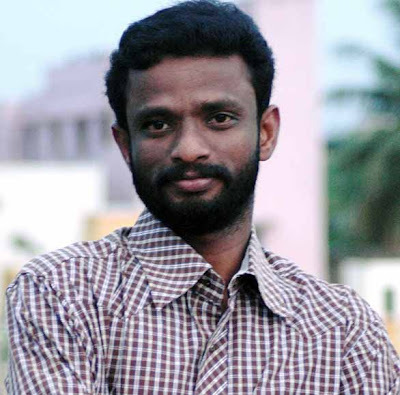 Director Pandiraj's 'Marina', which has won him a national award, completed 50 days last week and the number of theatres where it is screened has increased now. Without resting on his laurels, Pandiraj has lost no time in working on his next project, which will be a romantic comedy. He is busy writing the script for the new film and will decide on casting after the script is ready. Referring to reports that he has roped in Vimal and Sivakarthikeyan for the film, Pandiraj maintains that he is yet to begin casting. He is one who believes in casting only after he has the complete script. "I am not still done with the script." He could only say that the script he is working on is a two-hero subject. Apart from writing the script for his romantic comedy flick, Pandiraj will also be writing the dialogues for a film that will be directed by Suseenthran. Women's Organizations have condemned yesteryear heroine Sri Devi for wearing skimpy outfits. A women's organization in Mumbai lashed out at Sri Devi for her very glamorous outfits in public functions. It is understandable when an actress dresses such a way but Sri Devi has quit acting several years ago and is the mother of two children. Her dresses create a bad example among married women and mothers, said a spokesperson of the association. It may be mentioned here that Sri Devi is married to Bollywood producer Boney Kapoor and has two teenaged-daughters. She is looking to launch her eldest daughter Janvi in films soon. Vijay's Thuppakki is over a rapid progression as the shooting schedules are getting at a jet speed. Santhosh Sivan, the master of magical visuals is creating some extraordinary shots for the film. In fact, closer sources mention that the cinematographer is making sure that the production cost is kept at a limit, by avoiding certain technical amenities. Since major portion of the film will be shot in the busiest lanes of Mumbai, Santhosh Sivan is using hidden-camera shots. Earlier in Suriya's 7Aam Arivu, similar paradigms were done for the title song Oh Ringa Ringa.